As the use of electronic medical records continues to grow, healthcare organizations must address the explosion of data and ensure that information is secure and that regulatory require­ments for the protection and privacy of patient records are being met. At the same time, healthcare workers are becoming increasingly dependent on mobile technologies such as smartphones and tablet computers, and organizations are struggling to figure out how they can effectively manage these devices and the data they contain. 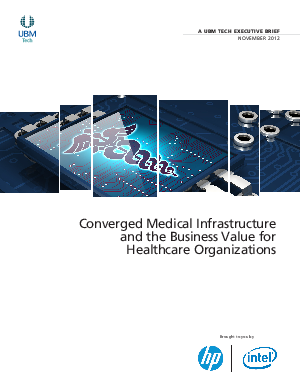 This white paper looks at some of the chal­lenges facing the healthcare industry and how a converged infrastructure can provide tangible business value to healthcare organizations.